Ragan Smith is the defending champion. Morgan Hurd is the reigning world titlist. And there’s one more well-known contender for the U.S. title when the women's competition begins Friday evening at the 2018 U.S. Championships at Boston's TD Garden -- Simone Biles, the Olympic champion and three-time World all-around champion. "She's the greatest of all-time," said Hurd. "She's just so amazing. But I would hope that maybe one of us could come close to catching her. Biles, who took a two-year sabbatical after winning four gold medals at the Rio Games, had an impressive re-entry at last month's GK U.S. Classic in Columbus, where she won the all-around title over Riley McCusker. This week she's back to reclaim the title that she won four consecutive times, most recently in the last Olympic year. "2016 was so nerve-wracking because everything mattered, where here we can afford mistakes," said Biles. "Which is good because it's another road to the Olympic and world journey." 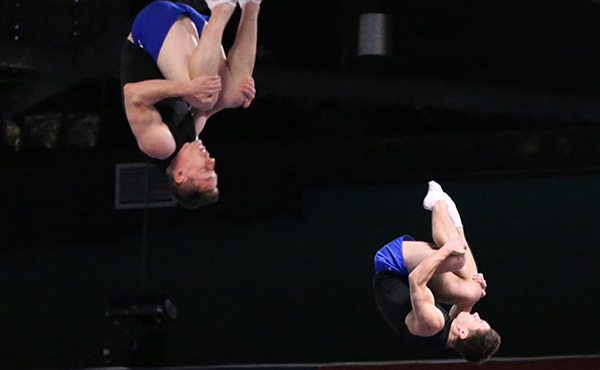 Also at stake this weekend are invitations to the selection camp that will determine the team for this autumn's World Championships in Doha, Qatar, where there'll be a team competition at the global level for the first time since the Games. Three members of last year's World roster are competing here -- Hurd, Smith and double event medalist Jade Carey. 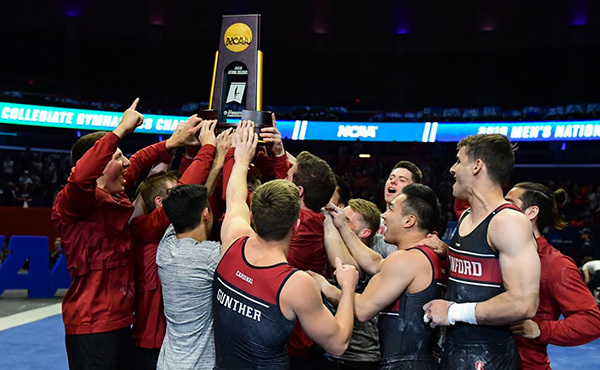 Foremost among them is the 17-year-old Hurd, who placed sixth at last year's nationals in Anaheim then went on to win the World all-around. "I didn't even expect to make the team, let alone place, let alone win," she said. "I think that was the craziest thing ever." "It was not in my head that I was going to get hurt," said Smith, whose rehab consumed nearly five months. "It was not my plan at all. It was definitely a lot harder than I was expecting, but I made it through and I'm here right now so I'm just thankful for that." Carey, who won silvers on floor exercise and vault in Montreal, also will be competing in the all-around, which carries more importance now that the Olympic roster has been reduced from five to four. 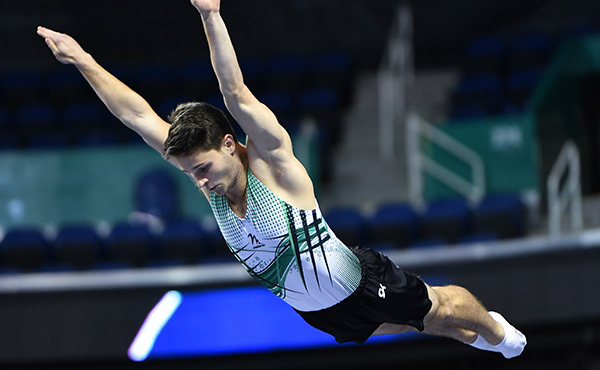 "It was a little different because normally on bars I wouldn't really do anything, just kind of hang out," said Carey, who competed in the all-around at the GK U.S. Classic. Yet even with a smaller roster there'll still be space for a gifted specialist. 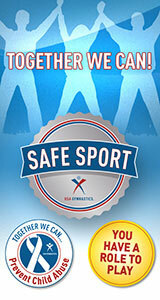 "It's important to be an all-arounder, but I think there would be room for me on vault and floor," she said. "Those are my best, but to have bars and beam in the mix I think is good." Biles, who hasn't been beaten in an all-around in five years, surprised herself by how quickly she was able to return to competitive form. "I thought it would take longer to get some of the skills back, particularly vault," she said." And while she may not yet be back at Olympic level, and won't need to be for two more years, Biles still is in a class of her own. 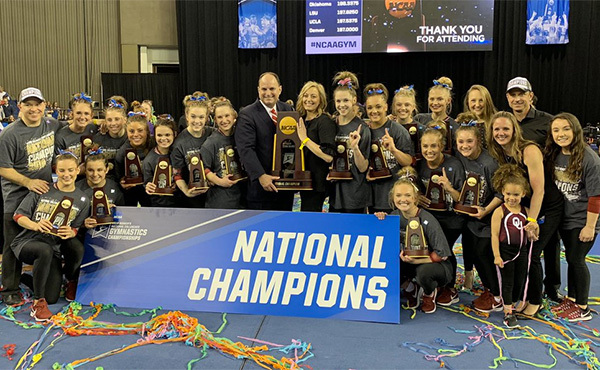 "I think Nastia Liukin said, if Simone's in the meet you're shooting for second and it's still that way," observed high-performance team coordinator Tom Forster. "It is what it is. If an athlete wants to do something about it, then they've got to get bouncier and better and keep pushing it and they will. They're going to push." On Friday afternoon the next wave of Olympic hopefuls will be on display in the junior competition. 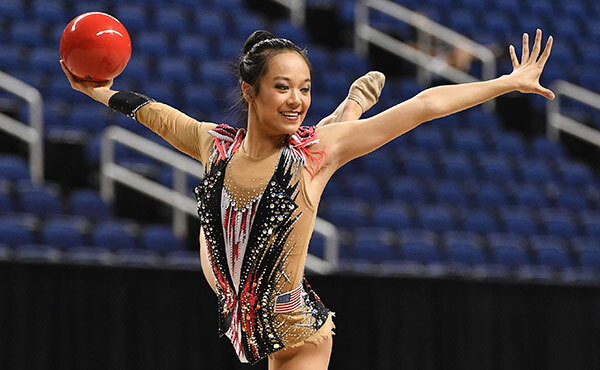 GK U.S. Classic champion Leanne Wong said her goal is "hitting eight great routines and improving all of my events to the best of my ability." 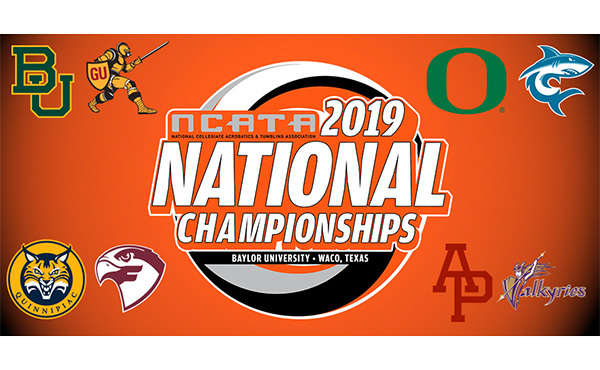 Also in the chase will be Kayla Di Cello, who was second at the GK U.S. Classic, and Jordan Bowers, who won the all-around title at both the 2018 Junior Pan American Championships and the Pacific Rim Championships. "I just love competing," said Bowers. "You work all year for this."